Orlando City SC have been lacking a striker, not saying that Dennis Chin isn’t capable of doing the job on his own but depth wise, it was heavily needed. After the departures of Jean Alexandre, Long Tan and the improbable Dom Dwyer, the Lions announced on Tuesday that they have acquired striker Corey Hertzog for the 2014 USL Pro season. 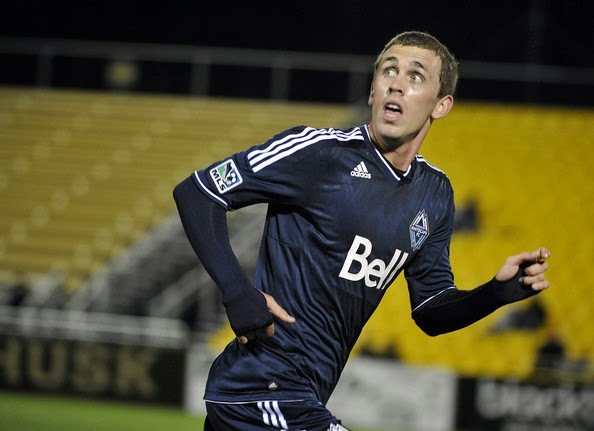 Hertzog joins the OCSC after playing most of 2013 for FC Edmonton, while being on-loan from the Vancouver Whitecaps. He finished with a total of three goals in 20 league appearances for both Canadian sides. While the final roster for the upcoming USL Pro season has yet to be completed, expect more roster changes to occur. OCSC's partnership with Sporting Kansas City in 2014 will guarantee Orlando two players, two-less than 2013 since Sporting KC also agreed to partner with Oklahoma City Energy for the upcoming season. Heath told reporters two weeks ago that despite the third MLS player signing was coming, two or three more players will follow then.